Jill Gratzek - Mowbray & Son, Inc.
Jill Gratzek graduated from Mora High School in 1983. She attended the University of Minnesota Crookston from September of 1983 to May of 1986. Jill received Associate in Applied Science degrees in accounting, sales & marketing, and small business management. After getting married in October of 1986, Jill worked various part-time jobs and had a small at home daycare that allowed her to stay at home and be with her two children. Jill’s husband had a job transfer to Minot, ND in August of 1998, so she went to work full-time at various businesses in Minot which included Trinity Health, CJ Banks, and Ryan Chevrolet. 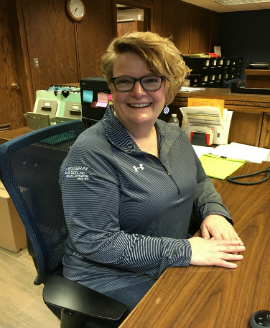 In October of 2003, Jill was hired as Service Dispatcher, Service AR, and Project Assistant at Mowbray & Son, Inc. In 2009, she was promoted to her current position as Support Services Manager.